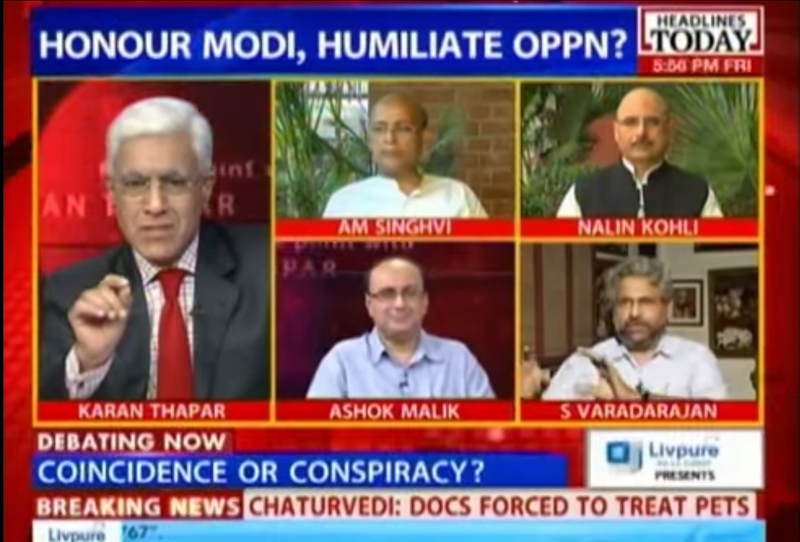 Debate: Is the humiliation of Opposition leaders a BJP conspiracy? After the Chief Ministers of Haryana, Maharashtra and Jharkhand were booed and heckled by a section of the crowd during public functions in which they shared the stage with Prime Minister Modi, the Congress said it would boycott such events in future. Karan Thapar anchored a debate on the subject. I argued that this heckling by BJP wastelling us something about the changing fabric of Indian politics — its coarsening, its lumpenisation. 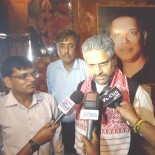 I also said Modi was seeking a kind of ‘full spectrum dominance’ against his foes, blocking off all space, formal and informal, political and institutional. This entry was posted on August 22, 2014 by Siddharth Varadarajan in Bad Ideas, Indian Politics, TV debate.